Both immersive and engaging, AURORA is an expansive public art event that transforms downtown Dallas into an open-air, urban playground of new media art, with installations of light, video, and sound presented on an unprecedented scale. The sunset signals the transformation of the city into one of the nation’s largest outdoor exhibitions, which has attracted over 130,000 attendees since 2010. In 2017, Groove Jones and the Dallas Morning News teamed up to bring the VR experience Arcade Artist, to the event. Featuring 10 massive art installations of light, video and sound from around the world. 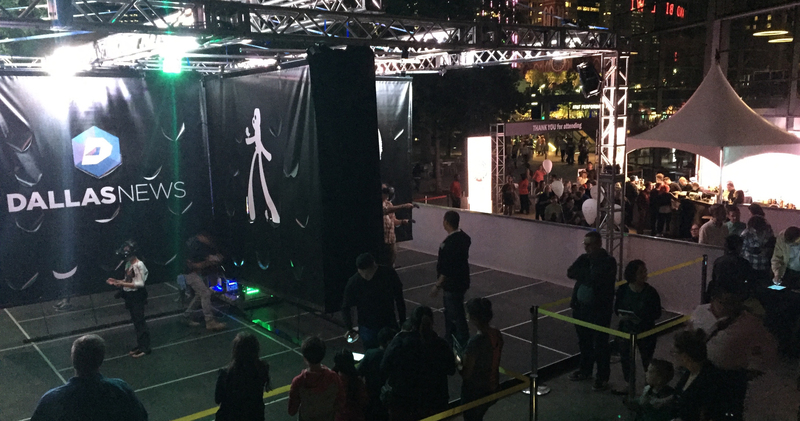 The event took place on the AT&T Performing Arts Center campus on October 21 and 22, 2016, from 8 p.m. until midnight. Because the event celebrates new media and art, the game Arcade Artist was a perfect fit for the event. 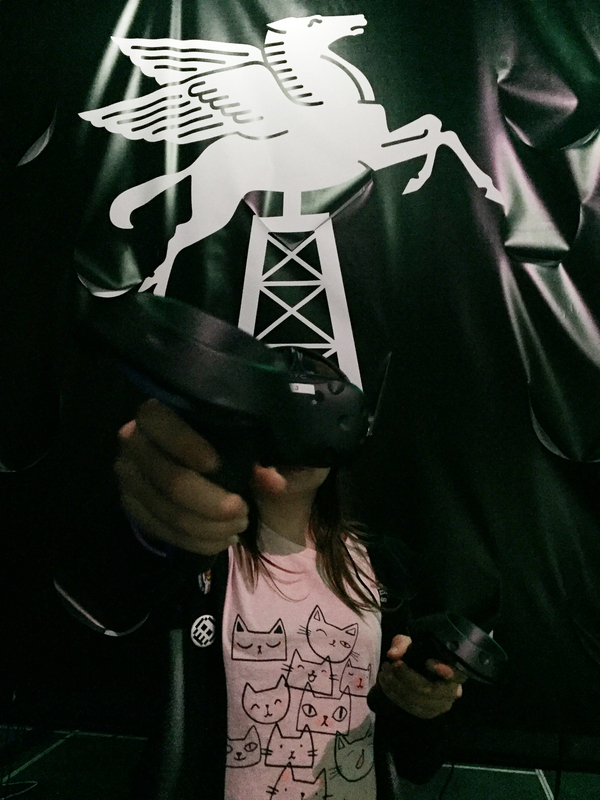 In the experience, participants entered a VR playground with tools to create and play within a Alice and Wonderland environment. Dallas icons, like the Pegasus, Reunion Tower, the giant ferris wheel in Fair Park, and the Wandering Man robot statue from Deep Ellum were scattered within the world. 4 people were able to experience it at the same time. The event has expanded over the years through the initiative and support of the Dallas arts community. In 2018, Aurora will take place in Downtown Dallas centered on the iconic I.M. Pei designed Dallas City Hall.